Great Volvo XC60 car Leasing & Contract Hire Deals. Think of a premium-badged mid-sized compact SUV and you probably think of something German - an Audi Q5 perhaps, or maybe a Mercedes GLC or BMW X3. 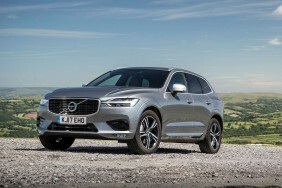 We'd also suggest though, that you should be looking at the car we're going to test here, Volvo's second generation XC60. It's a rejuvenated proposition. Our Volvo XC60 Lease Deals. So, what do we think overall? It's certainly true that other rivals will offer a sharper driving experience than is on offer from this Volvo. And of course this XC60 won't suit if you're going to be regularly venturing off the beaten track. But neither of these issues will bother many potential buyers, people more likely to value the cruising comfort, solid build quality and standard-setting safety that this car offers. Our advice would be to get yourself a potent D5 diesel model with the clever engine and smile smugly every time you see a Q5, an X3 or a GLC drive past. In this form, this XC60 is probably the best kept secret in this segment. Probably best to keep it to yourself. The original XC60 was the car that established Volvo in the minds of buyers in the mid-sized SUV segment. In nine years of production, it became the best selling car in its class in Europe, will nearly a million units sold annually, and accounted for 30% of Volvo's total global sales. Hence the crucial importance of this second generation which, along with the smaller X4 model, will be a key part of the Swedish marque's future SUV strategy. This MK2 model XC60 shares its platform with its larger XC90 stablemate but isn't quite such a revolution in terms of its design as that model was at launch. Nevertheless, there's ground-breaking safety tech and smart looks that'll eat into the sales of key rivals like Audi's Q5 and the Mercedes GLC. Volvo is offers a choice of three conventional 2.0-litre, four-cylinder engines - the 190bhp D4 and 235bhp D5 diesels, and the 254bhp T5 petrol. Plus there's a T8 Twin Engine petrol-electric plug-in hybrid. Every XC60 comes with all-wheel drive and an eight-speed automatic gearbox as standard. We'd favour the mid-range D5 variant that many will choose. Here, an ingenious system called 'PowerPulse' is used to overcome turbo lag - that momentary delay in response you sometimes experience with powerful turbocharged diesel engines. It uses compressed air which is stored in a small tank in the engine bay and automatically replenished to spool up the turbocharger so that the car responds as soon as you press the accelerator. Even cleverer is the T8 TwinEngine model. In fact this variant actually has three engines if you're going to be pedantic about it and count the 25bhp starter motor/generator that pitches in from time to time to smooth any gaps in torque delivery between the two main power sources. One of these is the 320bhp turbocharged/supercharged petrol unit borrowed from the conventional T6 petrol model that Volvo won't import here. This second generation XC60 features a more upmarket, cohesive look. It shares the same Scalable Product Architecture platform as we've seen in most of Volvo's recent models, including its larger XC90 sibling. This mid-sized premium SUV is 62mm longer, 12mm wider and 14mm lower than its predecessor and the 91mm-longer wheelbase means there's more legroom in the rear. 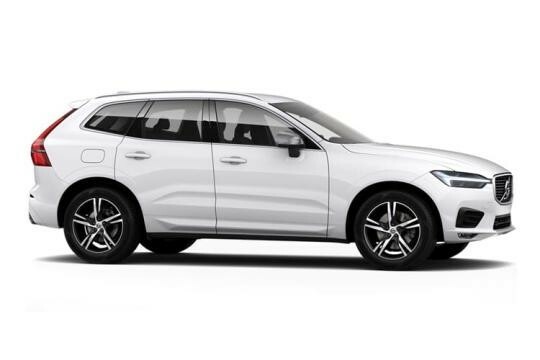 At the wheel, you sit lower in the XC60 than you would in an XC90 and the muscular-looking door creases, extended 'Thor's Hammer' headlights and new grille give this model a sportier look. There's a longer bonnet than a rival Audi Q5 - and a longer roofline too. As you'd expect, there are plenty of family resemblances to the XC90, especially inside. The dashboard, seats and upholstery will all be familiar to recent Volvo buyers; the same 9.0-inch touchscreen and 12.3-inch digital dial displays feature. It's not just under the bonnet that the new XC60 delivers healthy performance. The new CleanZone four-zone climate control system removes harmful pollutants and particles from outside the cabin to deliver Scandinavian-fresh air on the inside. As in the 90 series cars, smartphone integration with Apple CarPlay and Android Auto is also available. Prices start at just over £37,000 and range up to just under £50,000. AWD and auto transmission features on all models and there are three main levels of trim - 'Momentum', 'R-Design' and 'Inscription', with plusher 'Pro' variants of each. Every version of the XC60 is very well equipped. As standard, even entry-level Momentum variants come with leather-faced upholstery, LED headlights with active high beam, two-zone climate control with a 'CleanZone' air-filtration system, heated front seats, a powered tailgate and 18"" alloy wheels. Volvo's Sensus infotainment system is also standard. This brings a 9"" portrait-style touch screen, satellite navigation and an intuitive voice-activation system. It also provides access to the internet and a range of cloud-based apps such as Spotify, TuneIn, Stitcher and Yelp. Volvo's City Safety system is fitted to every XC60. This includes automatic emergency braking with pedestrian, cyclist and large animal detection, and the world-first application of Steer Assist. This feature helps to avoid or limit the severity of collisions at low speeds by assisting with the steering in an emergency, such as when swerving to miss an obstacle. Pilot Assist, Volvo's innovative semi-autonomous drive feature, is an optional extra on every XC60. It assists with the steering (up to 80mph) and takes care of the acceleration and braking required to keep the car within lane markings and at the desired cruising speed or distance from any vehicle in front. The 190bhp D4 variant most will choose offers combined fuel consumption of up to 55.4mpg and CO2 emissions from 133g/km. The pokier 235bhp D5 delivers combined fuel consumption of 51.4mpg and CO2 emissions of 144g/km. It also benefits from PowerPulse, an ingenious Volvo invention that uses compressed air to spin the engine's two turbos when they would otherwise be dormant, such as very low engine revs, boosting responsiveness. The petrol-powered 254bhp T5 offers combined fuel economy of up to 39.2mpg and CO2 emissions from 164g/km. The 401bhp T8 petrol/electric plug-in hybrid offers an all-electric driving range of around 35 miles. Maintenance should be relatively affordable for a car of this kind, with intervals every year or 18,000 miles. Three or five year pre-paid servicing packages are available to help you budget ahead. If you pay extra for the useful 'On Call with App' remote connectivity system, this Volvo can be programmed to autonomously realise when a service is due, then automatically book it for you at a dealership of your choice. Finally, we'll tell you that the warranty is the usual three year, 60,000 mile package.